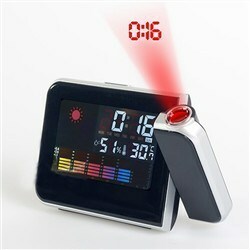 LCD Screen LED Projection Alarm Clock/ Weather Station Clock under $12 SHIPPED! Cool gift idea. Order Early to Ensure Delivery!